Somehow, 2012 has become "the year of the lawn overhaul". My husband has gone into landscaping hyperdrive, finessing the curves of our flowerbeds and creating crisp edges where the grass meets the sidewalk. 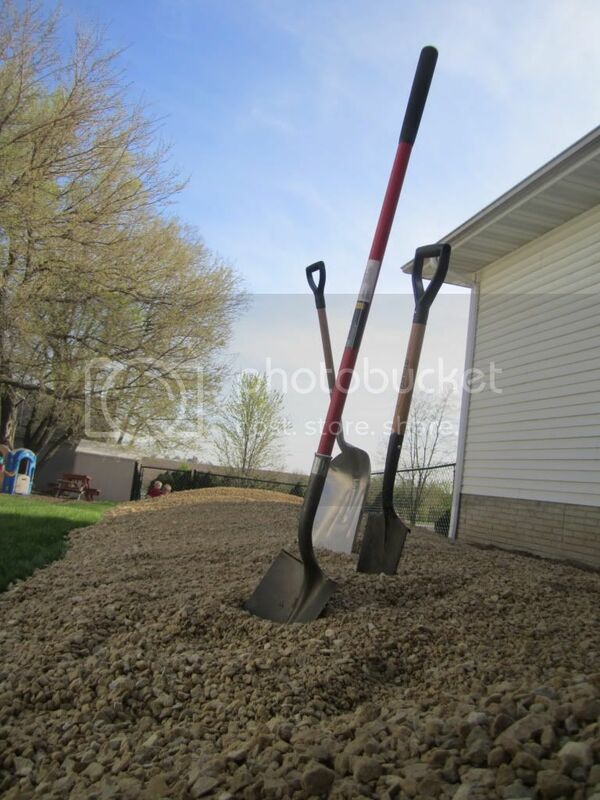 So I wasn't surprised when he told me that he was going to order some extra gravel for the side of the house where the motorhome resides as well as some mulch to beautify the flowerbeds where I'd slaved all last summer scooping out the dreaded gravel that we are now supplementing. Call it a full-circle moment. But I was surprised when we watched, from the backyard, as a truck unloaded two TON of gravel onto our already rock-laden pad. 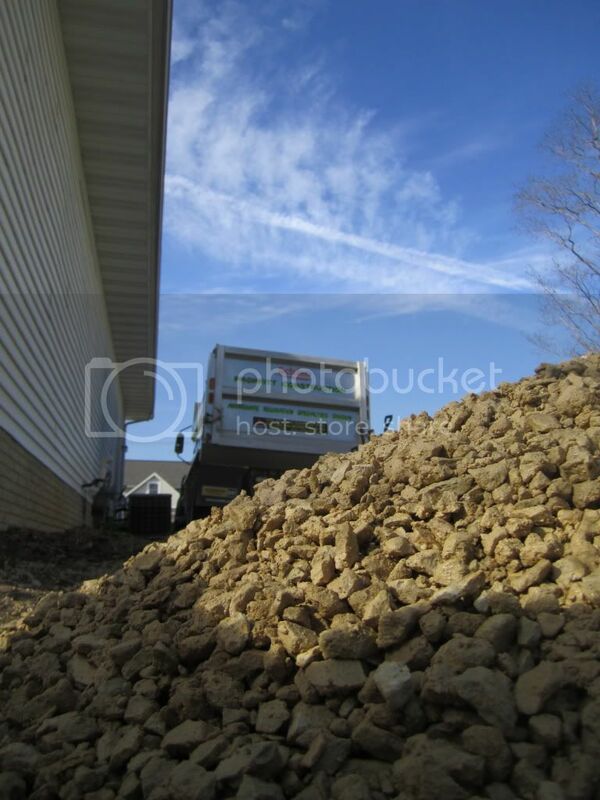 Perhaps you need some perspective to fully appreciate how much rock two ton really is. Here, I'll put a dime down near the rock. Does that help? Not helpful? Here, look closer. That one dime is like a needle in a haystack. Or like a coin in a rockstack. Joel and my nephews immediately launched into the project, shovels, rakes and boards in hand, to level out what looked more like a desert dune than a gravel pile. But within an hour's time, I was impressed with what they'd accomplished. Although the rock was left about a foot thick and likely capable of sustaining the weight of a Boeing 747, it was more than sufficient for our behemoth of a motorhome. Or perhaps all of the motorhomes. I didn't have to lift a finger, but I'm really relieved to have it done. But now what am I supposed to do with this?!? Funny! My husband is the same way- tends to go overboard! I bet your boys were in heaven watching that dump truck! OH yeah. They were glued to the fence waiting for the big dump! We just didn't expect it to be as big a production as it was!